Already registered a domain name and want to use it with FolioHD? These instructions are for you. 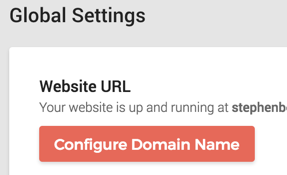 Before configuring your domain with FolioHD, you must point your domain name to our servers. In order to do that, you'll need to create a couple of custom records through your domain's registrar. 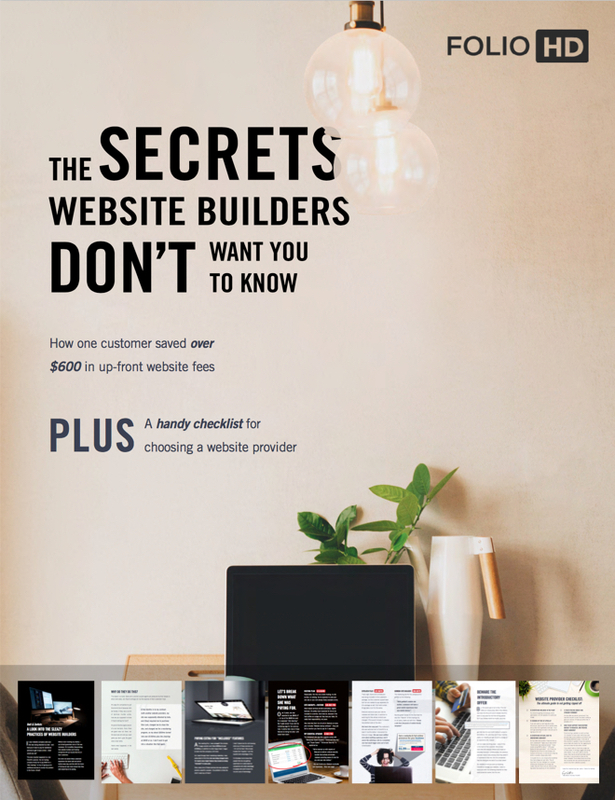 We have instructions on how to do this for many popular domain registration companies here. Or contact us and we'll be happy to help get your domain configured for you. 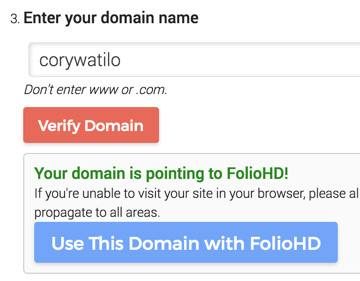 If your domain name is already pointing to FolioHD, click Yes, I already own a domain name. 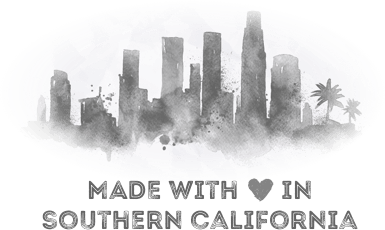 Note: Want to set up a domain name that doesn’t end in .com? Contact us and we’ll get you squared away. Click Verify. We’ll check and make sure everything looks good. If it says your domain is pointed to FolioHD, click the big blue button to start using it. After clicking the big blue button, your domain should now be up and running! To test, enter the URL into your browser. If your domain name fails verification, it is recommended you contact us to get it resolved. Note: If your URL isn’t working yet, or if it’s pointing to your old site, it’s possible the URL is cached by your internet service provider. 99% of the time, this will resolve itself automatically - just check back in an hour or two.